Chalet Muztagh is a luxury chalet nestled in a prime location in the Rue des Clarines in the lovely ski resort of Courchevel 1850. The largest ski area in Europe- the Les Trois Vallees is easily accessible as the chalet lies next to the Cospillot ski lift. Situated just a few minutes from Courchevel 1850, Chalet Muztagh is flanked with spectacular vistas over the valley and Bel Air mount. 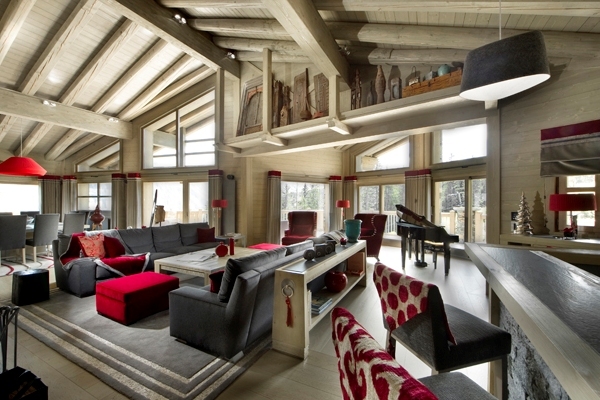 A ski in/ ski out chalet, Muztagh has a surface area of 635 sqm and is organized on four levels. 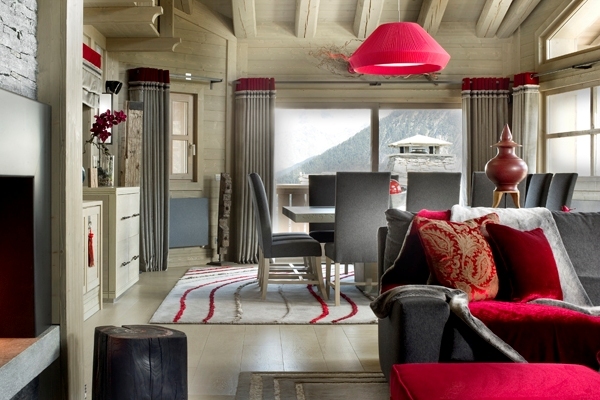 The chalet features open plan living spaces, cozy accommodation and a wellness domain. 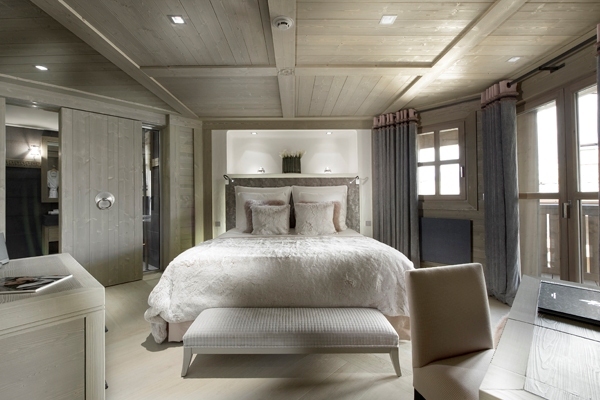 Featuring five well appointed bedrooms, this luxury chalet is ideal for up to ten guests. All the bedrooms are en suite and also have private dressing rooms, balconies and LCD TV. Four of the five bedrooms span on the first floor while the last one is on the mezzanine level, thereby offering complete privacy. 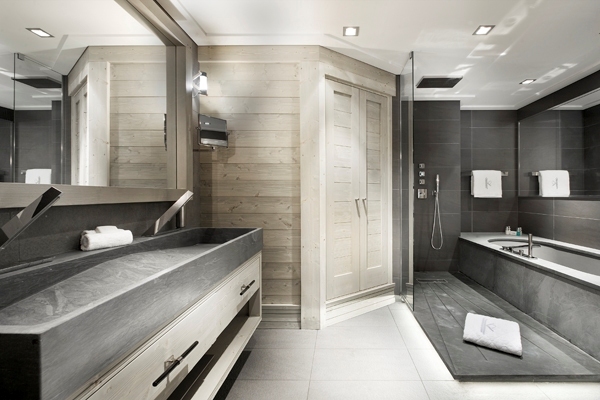 The en suite bathrooms also include separate shower and bathtubs. 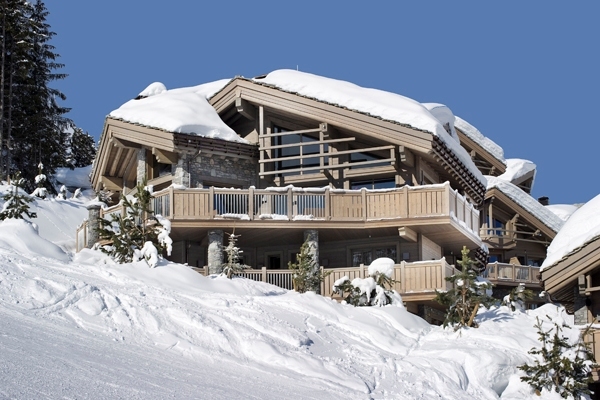 In addition to superb accommodation facilities, the chalet offers open plan living and dining area located on the second floor. The living area is decorated with flamboyant furnishings in warm tones of gray and red while modern decorative elements add to its charisma. Fully equipped kitchen, bar, library and a huge balcony are other intriguing features. 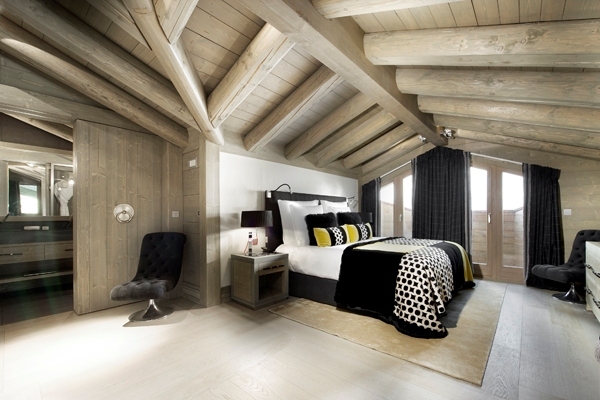 The ground floor is an absolute respite from the exhilarating life on the slopes. 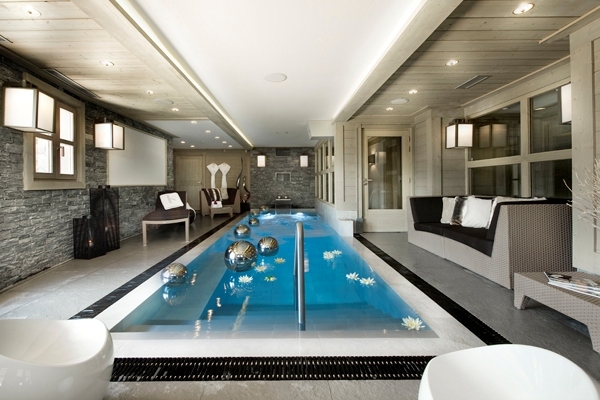 You can enjoy a dip in the swimming pool or stimulate your senses in the steam room. 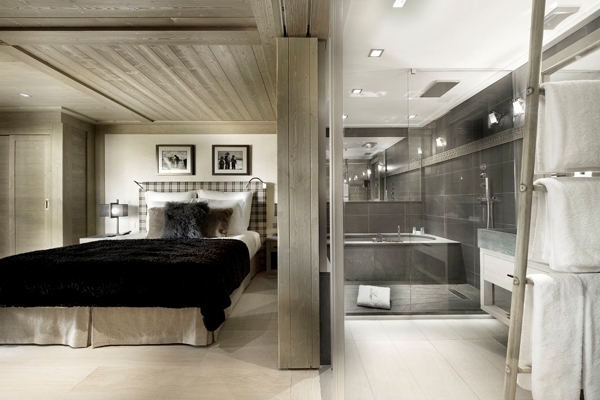 Take a freshening shower or enjoy a glass of wine while indulged in the beauty of Courchevel. 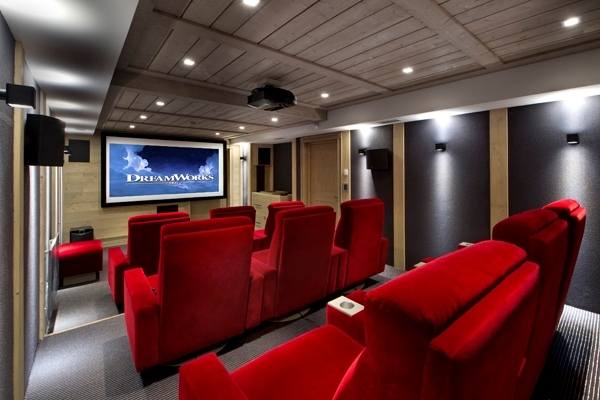 You can also watch your favorite movie with family or friends in the cinema room. 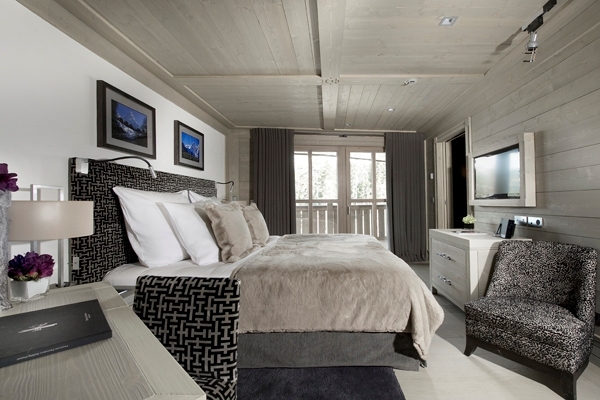 The chalet also features a lift that provides access to all the floors. 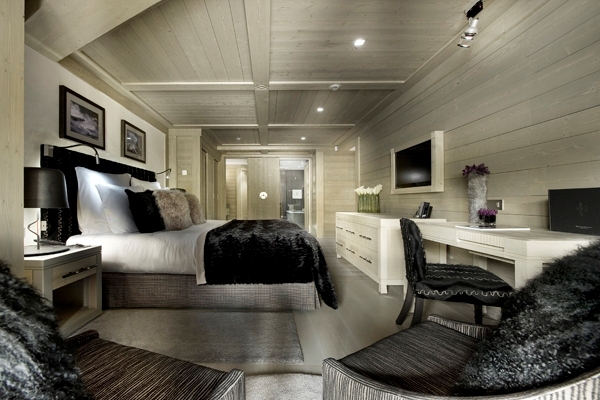 The chalet is known for discreet service, modern comfort and a memorable holiday experience.